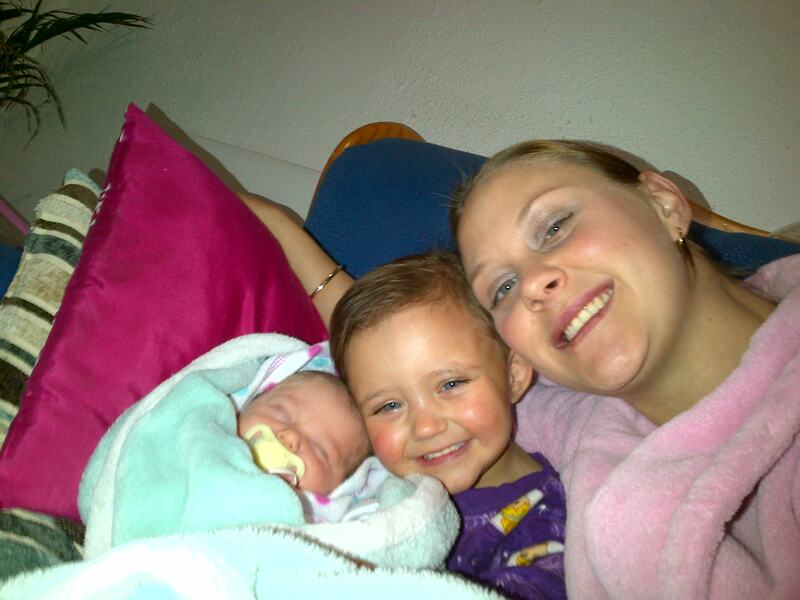 This week, Joburg mom Tina Demskey shares her “balancing act” as am a professional nurse working at St Vincent School, and mother to Cianais (two and a half years) and Kairenn (10 weeks). My biggest challenge is trying to do it all!! Working full time is hard enough but being a wife, mother and running a household makes it that much harder. As moms we tend to do for everyone else and not for ourselves! I always say if you take care of yourself then everyone you are taking care of will benefit. Leave work issues at work and home issues at home- never mix the 2, it will only make you miserable, unfocused and unproductive. Don’t feel guilty about doing something for yourself once in a while- you deserve it! When it comes to your kids- DON’T SWEAT THE SMALL STUFF! Spills can be mopped up, drawings on walls can be wiped clean, muddy clothes can be washed- enjoy your children while you can, they grow up way too quickly. Being a working mom I don’t get to spend as much time as I would like with my girls. It makes me sad to think that their first steps, first word, first catch of a ball and the rest of the never ending list of ‘firsts’ may be seen or experienced by their teachers at creche. This is the hardest part for me. I want to be remembered as a mom who loved her girls with every fiber of her being. A mom who didn’t take things to seriously yet was able to successfully raise healthy, happy, successful, kind, mature and independent women. Companies that have moms working for them – give us a break! We not only have to deal with an extra workload but also bear in mind that with each pregnancy we lose a bit of our minds. Our brains are never the same after having kids, this is not our fault, this is nature! I always tell moms that family comes first. They can easily replace you at work but you are the only mom your children have. Sick children is not something we want and we can’t control it, so time off to care for our kids shouldn’t be looked at as a holiday because believe me it is anything but. Get organised – have a diary and write everything down! I would be a headless chicken without my diary. My diary is my brain. Routine is key- bath time, bed time, supper time etc is so important. Your kids know what happens and when and this makes it that little bit easier on you. Tantrums come with the territory but I’ve found that suddenly humming or singing a random song while she is having a ‘moment’ totally and utterly confuses her and leaves her speechless most times (mom- 1 toddler – 0) 🙂 Have a cocktail- you are not irresponsible or a terrible mom if you enjoy a cocktail or glass of wine while cooking or once the kids are in bed and you can breathe a sigh of exhausted relief for a few minutes. Enjoy your children- make time in your schedule for them- they will love you for it when they have children and full times jobs of their own.